When searching for seeds for making sprouts, there many points we have learned to consider before buying. If you are sprouting your own food, chances are you are concerned about quality, safety and nutrition. While sprouts are full of good nutrition for your body, they don’t come with the guarantee of quality or safety. One major contributor to the safety and nutritional quality of the sprouts you grow is the seed you buy to sprout. 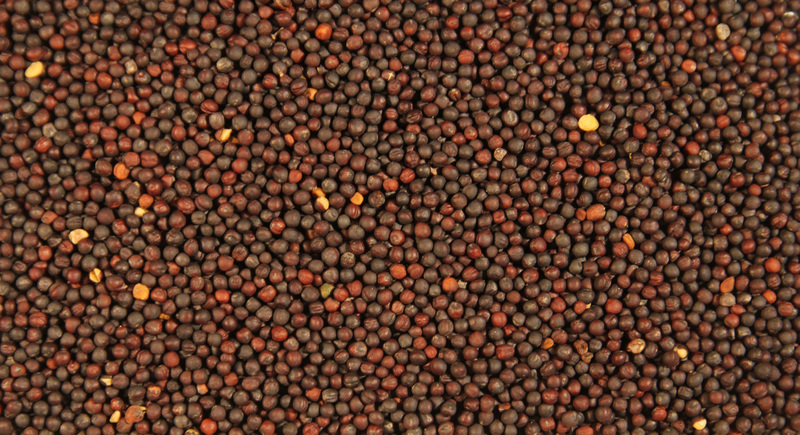 Here is a list of topics to examine when buying seeds for making sprouts. When cleaning the hulls off of a fresh harvest, depending on the quality of the threshing and grading machines, the process produces cracked seed. Cracked seeds don’t germinate. They cannot grow because they lack the essential parts of the seed to create life. If they don’t germinate, that means they are just sitting there getting wet and warm, which is a wonderful environment for other things to grow that you don’t want – bacteria, mold, and the like. 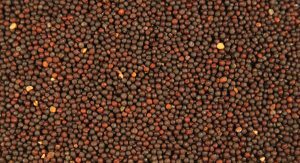 Ask for small samples of the seed batch before ordering larger amounts of seeds. This will allow you to visually inspect your seeds before you encounter buyer’s remorse. You would think that any reputable seed dealer would want to get the best germination for customers. Unfortunately, this is not always the case. We have seen instances where a very small percentage of the seeds would germinate and grow. This is why you want to request germination statistics for your seed that you are ordering. What you’ll find is that they give you a label or report about the germination rate, purity of the seed, how old the seed is, and many other facts. It is very useful for determining if you should buy from the source you are considering. If your supplier says they cannot provide that information, you should consider it to be flag of concern. You might ask them why they don’t have that information. If you are buying from a local farmer you know, it might be more excusable, but any dealer that cares about what he is selling should have this information available for his customers. Some seeds that are heavily used in the agricultural industry, like alfalfa, are inoculated with certain bacteria to help them grow in the soil. While studies show that these inoculants are not dangerous to us, we still feel odd about having them on our seed. Why not just get plain seed the old fashioned way? We always ask for non-inoculated seed. One other area of concern is that inoculants are glued to the seed by various methods. These glues or “sticks” as they are sometimes called are not so clear about their origin and makeup. We feel like these glues can easily interrupt the cleaning process of the seed when sprouting. This is a very important step in the safety of sprouting seeds for use at home, and can help reduce the likelihood of your food being contaminated with other bacteria or pathogens. What does it take to remove those inoculants and their adhesive coatings? We don’t really know for sure. That is why we steer clear of inoculated seed. Certain seeds, like clover seeds, are very prone to being covered in dust and powder when you buy them. You will notice this by the yellow or brown tint of the water when you clean and rinse them. This is particularly important because the dust is a barrier to the seed hull, making cleaning the seed more laborious and complicated if they are covered in dust. Seeds for making sprouts should be as clean as possible. Finding seeds with no dust is next to impossible, but you can take note of seeds as you purchase along the way, finding which providers have clean stock on hand. This is becoming a highly discussed topic as GMO takes a dominate position in almost every aspect food in the market place. Modifying the genetics of a seed has unlearned consequences because the practice itself is very young and we hardly know the long term implications. The NOP (National Organic Program) specifies that organic seeds are not allowed to have been genetically modified. Non-Organic seeds could be Non-GMO, but some times they could be GMO. How do you know the difference? It gets complicated- Currently there are no regulations stating that GMO products have to be labeled as such, meaning you could buy seed that is GMO while under the impression that you are buying Non-GMO. The solution? Buy organic! While organic seed does no fully eliminate the risks associated with GMO production of seed, it does put a solid dent in the source concern, giving you peace of mind, and clarity of what you are eating. Finding seeds for making sprouts can be a bit of an adventure, but when you find a good source and a reputable dealer, the search does not have to happen everyday. We’ve been working with our suppliers for years, and have consistently been pleased with the quality and safety of seed they provide us. While they supply wholesale accounts only, the same principles hold true if you wanted to sprout at home and needed to find a retailer to supply you. Share the post "Seeds For Making Sprouts"